There is a common thinking among students that only the students who have scored higher marks can get a scholarship. But this is NOT true. 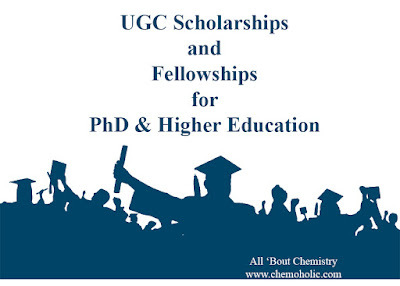 Every year, thousands of scholarships are awarded to those who have achieved some specific targets or performed outstandingly in their concerned fields.To extend a warm felicitation to such extraordinary performers in Academic Field, UGC has started UGC Scholarships & Fellowships. Below we are providing a quick list to review all the Scholarships/Fellowships offered by UGC at one place. There are numerous UGC Fellowships/Scholarships for teachers, whether they are employed or retired, they can take advantage of the fellowships offered by UGC. To provide an opportunity to the Highly qualified, experienced & superannuated Teachers who have been actively engaged in research & teaching programs in the preceding years, UGC has started the “Emeritus Fellowship”. With the help of this fellowship, teachers will be able to undertake research, without any restriction of position or pay scales. Universities/Institutions/Colleges under section 2(f) and 12(b) of UGC Act, 1956. Deemed to be Universities under section 3 of the UGC Act, 1956 which are eligible to receive grant in aid from UGC. Universities/Institutions/Colleges funded by Central/ State Govt. The eligibility will be based on the quality of research and published work contributed by the teacher in his/her service career. The awardee (superannuated) can work under this scheme with a well-defined time bound action plan up to the age of 70 years or up to two years (non-extendable) of the award whichever is earlier. Transgender candidates are eligible to apply under the scheme. The reservation shall be followed as per the Govt. of India norms. The number of slots available under the scheme is 100 for Science streams and 100 for Humanities, Social Sciences and Languages (total 200 slots) at any one given time basis. Contingency grant (non-lapsable) of INR 50,000/- p.a. towards secretarial assistance, travel within the country connected with the research project, stationery, postage, consumables, books and journals, and equipment. *However, books, journals and equipment etc. procured out of the contingency grant will be the property of the university/college/institute. Medical Facilities Foreign visit related to the approved research work of the awardee will be limited to once in a year with the prior approval/no-objection of the Institution/University where the project work is being undertaken along with that of UGC. The Research award/scholarship is given to only those lectures, senior lecturers, selection-grade lecturers, readers & professors who are having a doctorate degree and have shown their excellence in their concerned fields. The scheme is designed to provide opportunities to regularly appoint permanent teachers of universities/institutions to pursue research in their area(s) of specialization for a period of two years without undertaking any research guidance. A provision for extension of tenure of Research Award has been made for one year only on the recommendation of the subject experts in exceptional cases. The teachers should be regular and placed on the permanent positions. They should not age more than 45 years. 5 years of relaxation is provided to Women, SC/ST/OBC (non-creamy layer)/ Physically Handicapped & Minorities. Regularly appointed permanent teachers who have a doctorate degree and have shown an aptitude for research may apply for the Award. They must have published papers/ articles in reputed/referred journals, and have made contributions to editorial boards, collaborative research nationally, internationally or with industries/national organizations and universities/institutions recognized under Sections 2(f) and 12(B) of the UGC Act. A total numbers of 100 slots are available under the scheme every alternate year. Full salary of the awardee with admissible allowances. ii. Sciences/Natural Sciences/Engineering and Technology: INR 3.00 lakh. 3. The awardee, being on duty leave, will continue to earn normal increment. 4. Expenditure towards travel within the country and foreign trips associated with the research work. The Raman Fellowship is designed for the Young Indian Researchers to carry out a clearly defined research project and/or acquire newly emerging research techniques and technologies at a place of their choice in the USA for a period of up to 12 months. These awards will benefit them with an excellent opportunity to interact with the American academic/scientific community and get firsthand information of the developments taking place at the international level and acquaint themselves with new academic and scientific research methods and to participate in collaborative research projects. The applicant should be a permanent teacher in a university/institution recognized by UGC. The applicant should possess at least 60 per cent marks or equivalent in the post-graduate degree. The applicant should possess a Ph.D. degree in respective academic discipline (Humanities, Social Sciences, Natural Science, Engineering, Technology, Agricultural Sciences) or MD/MS/Ph.D. in Medical Sciences. The Applicant must provide proof of having carried out independent research work published in peer reviewed journals preferably indexed. The applicant should be of age up to 40 years. The minimum period of fellowship would be 6 months and maximum period would be 12 months. The Fellow will be entitled to fellowship amount of US $ 3000 per month. Fellow will also be entitled to a one-time personal contingency grant of up to a maximum of INR 50,000 to cover for visa, airport transfer, medical insurance etc. Fellow will also be permitted to travel within USA to attend conferences or visit other institutes of interest with the approval of the advisor at the host institute. The Fellow will be entitled to avail one of the following grants for this purpose. Air-tickets for all the selected Fellow would be purchased by the respective university/institution. The University Grants Commission strives to promote teaching and research in emerging areas in Humanities, Social Sciences, Languages, Literature, Pure Sciences, Engineering & Technology, Pharmacy, Medical, Agricultural Sciences etc. The University Grants Commission will provide support to permanent/regular, working/retired teachers in the Universities and Colleges. The permanent teachers working in self-financing Institutions. A teacher, working or retired can avail only one project/ scheme of the UGC at any given time. The Principal Investigator should publish two papers in a reputed journal in the form of 3 Books/Article/Presentation in seminar etc. from the said project completed. The SAP scheme was initiated in 1963 by University Grants Commission. The program is intended to encourage the pursuit of excellence and teamwork in advanced teaching and research to accelerate the realization of international standards in specific fields. The first such program was initially started as the “Centre of Advanced Study (CAS)” in 1963. To identify and support university departments which have the potential to undertake quality teaching and research in various educational disciplines including allied disciplines. To promulgate research in Universities to be relevant to societal needs and have society and industry interaction. To make research a catalyst for good teaching and introduction of new courses relating to identified thrust areas. To have linkages with research organizations and to use their expertise innovatively to support research in the universities. To utilize the output of research for the development of the nation and society. To train and create quality human resources in identified thrust areas. To search for newer / generic area(s), of research, its promotion and nurturing. A University department must have the potential to undertake quality teaching and research and submit its proposal for induction under SAP. The department should have at least six teachers including one Professor to become eligible for induction under SAP. The tenure of the Special Assistance Program (SAP) will be for a period of FIVE YEARS for a phase. The objective of this award is to provide an opportunity to carry out the advanced studies and research in Humanities and Social Sciences including languages in Indian Universities/Colleges/ Institutions. The candidate should be unemployed. He or She should not age more than 35 years. Relaxation of 5 years is provided for SC/ST/OBC/Women/PWD (Persons with Disabilities) candidates. For General Category candidates, minimum 55% of marks at UG level and minimum 60% of marks at PG level are mandatory. For Reserved Category (SC/ST/OBC/PWD) candidates, minimum 50% of marks at UG level and minimum 55% of marks at PG level are required. To support higher education of single girl child in Social Sciences. To recognize the norm of single girl child in society. To propagate the concept of single girl child norm. Promoting single girls in the society. Any single girl child of her parents pursuing Ph.D. in Social Sciences in Universities/Colleges/ Institutes is eligible to apply under the scheme. In a family if one son and one daughter is available then girl child will not be considered for fellowship under the scheme. Proof of being single girl child has to be submitted on an affidavit of INR 50/- Stamp paper from the fellow/parent duly attested by SDM/First Class Magistrate/Gazetted Officer at the time of filling the online application. The scheme is applicable to such a single girl child who has registered herself in regular, fulltime Ph. D. program in Social Sciences in any of the Indian Universities/Colleges/Institutes. Admission to Ph.D. Course in Distance education mode is not covered under the scheme. Girl students up to the age of 40 years for general category and 45 years for the reserved categories i.e. SC/ST/OBC and PWD (Persons with Disabilities) can apply. Transgender candidates are eligible to apply under the scheme as per the norms. To support post graduate education of single girl child in non-professional courses and to recognize the value of observance of small family norm, UGC has initiated this fellowship. Girl students without having any brother or the girl student who are twin daughters/ fraternal daughter may also apply for scholarship under the aforesaid scheme. In a family if one son and one daughter is available then girl child will not be considered for scholarship under the scheme. Girl students up to the age of 30 years at the time of admission in PG courses are eligible. The scheme is applicable to such single girl child who has taken admission in regular, fulltime first year Master’s Degree course in any designated university or a post graduate college. This scholarship is available to PG-I year student only. The candidates who apply for the scheme can get a financial assistance of INR 3100 per month. The objective of the scheme is to provide an opportunity to SC/ST candidates to undertake postdoctoral research in Sciences, Engineering & Technology, Humanities and Social Sciences at any of the Indian Universities/Institutions/Colleges. The candidate must have a doctorate degree in the relevant subject preferably with published research work to their credit. Only Ph.D. awarded unemployed candidates will be eligible for the award of Post-Doctoral Fellowship. The upper age limit for male applicants is 50 yrs and 55 yrs in the case of female candidates. The candidates of SC/ST categories having 50% marks at UG level and 55% marks at PG level are eligible to apply under the Scheme. **The fellowship will be applicable up to 5 years only. The main motive of this scholarship is to provide financial assistance to eligible SC Candidates to pursue higher studies such as M.Phil. and Ph.D. from the reputed Indian Universities/Colleges. The candidate should belong to SC/ST and should have passed the Post Graduate Examination. The Candidate must be registered for M.Phil./Ph.D. 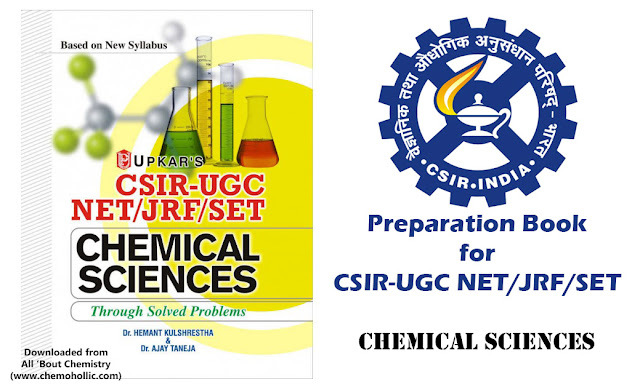 The fellowship is designed for the ST Candidates who have passed the Post Graduate examination in concerned subject and who desire to pursue research without JRF of UGC-NET or UGC-CSIR NET. The candidate should be from ST Category. Rest Eligibility Criteria and Fellowship Amount is same as Rajiv Gandhi National Fellowship for SC Candidates. To provide the opportunities to students with disabilities for pursuing higher education leading to degrees such as M. Phil. and Ph.D., UGC has started the concerned fellowship. There are total 200 Fellowships for the PWD Candidates. Any student with disabilities who has been admitted to M.Phil./Ph.D. degree in a University or academic institution. The candidate must get himself/herself registered for M.Phil/Ph.D at the first available opportunity but not later than within a period of two years from the receipt of award letter. This period is not extendable. After two years, if the progress in the research works of the awardee is found satisfactory, his/her tenure will be extended for a further period of three years as Senior Research Fellowship (SRF). *The research work will be assessed by a three-member committee set up by the University. The committee will consist of the Supervisor, Head of the Department and one outside expert in the subject. JRF may be terminated in case the progress of the candidate is not found satisfactory by the committee. The Maulana Azad National Fellowship for Minority Students is formulated and funded by Ministry of Minority Affairs. The scheme is open to candidates who belong to one of the Minority Community i.e. Muslim, Sikh, Parsi, Buddhist, Christian & Jain and are pursuing higher studies such as regular and full time M.Phil/Ph.D. degrees in Sciences, Humanities, Social Sciences and Engineering & Technology. 3% fellowships are reserved for Physically Handicapped candidates belonging to Minority Communities as per provision laid down by the Government of India. Candidate should belong to one of the minority communities – Muslim, Christian, Sikh, Buddhist, Parsi & Jain. Candidate should be registered for regular and full time M.Phil/Ph.D courses in University/Institution by fulfilling conditions of admission of that University/Institution. The annual income of the beneficiary/parents or guardian of the beneficiary should not exceed INR 2.5 lakh from all sources. Candidate should submit his/her income or his/her parent’s/guardian’s income certificate issued by the appropriate Authority. The candidate should have secured a minimum score of 50% at Post Graduate level. *The Fellowship Prize Money is same as Rajiv Gandhi National Fellowship for SC Candidates. The Fellowship Scheme has been initiated keeping in view the social other backward classes (OBC) candidates of the society and to provide them the opportunity to undertake advanced studies and research. The candidate should belong to OBC and should have passed the Post Graduate examination and an annual income of the beneficiary/parents or guardian of the beneficiary should not exceed INR 6.00 lakh per annum from all sources. The candidate who is already registered for M.Phil./Ph.D. will be eligible for the consideration for award of the fellowship under cited scheme. The Fellowship Prize Money is same as Rajiv Gandhi National Fellowship for SC Candidates. The upper age limit for male applicants is 45 yrs and 50 yrs in the case of female candidates. To promote and nurture talent. To reward meritorious students with the outstanding performance at the Undergraduate level for pursuing postgraduate studies. To promote study in basic courses at undergraduate level. To build up academic excellence at PG level across the colleges and universities in the country. The scholarship is available to the student for first PG Degree only. Age limit for the students is 30 years at the time of admission in PG course. Distance mode of education will not be considered under the scheme. There are total 3000 fellowships available for the candidates who are seeking to pursue PG Degree and the fellowship will be valid till 2 years only. The candidates who get selected for the concerned fellowship get INR 3,100 pm for a period of two years only (10 months in the year) i.e. full duration of a PG course. For promoting the higher education and for encouraging children belonging to an economically weaker section of the NE region, the UGC has decided to launch “Ishan Uday” Special Scholarship Scheme for North Eastern Region. Students with the domicile of NER who have passed Class XII or equivalent exam from a school situated within NER through any recognized Board of Education. Only first-year Undergraduate students are eligible to apply for the scholarship. For integrated degree courses the scholarship will be tenable for the complete duration of the course. For dual degree courses, the scholarship shall be tenable for the first degree only. The university shall clarify it while recommending a candidate for the scholarship. For availing scholarship under this scheme, the income of the parents of the student should not exceed INR 4.5 lakh per annum. Students already availing scholarship for pursuing the Undergraduate program under any other scheme. Students pursuing courses, such as Diploma Courses, not leading to an award of a Degree. Students whose parents’ income exceeds INR 4.5 lakh per annum. An amount of INR 5400/- p.m. for General Degree courses and INR 7800/- p.m. for Technical & Professional courses will be given through Direct Benefit Transfer (DBT) to the beneficiary student. If you liked the post...!! !